​The Harbor Park Gazebo was built about 2005 with $5,000 of funding that was easily raised privately from local residents. The design was a composite of many gazebos found in various publications and was built locally. Harbor Park is located in the harbor where the Kewanee River empties into Lake Michigan. During the summer from mid June through Labor Day weekend, free concerts are held on Sunday evenings. Visitors are encouraged to bring their blankets and lawn chairs along with picnic baskets. Food can be purchased also from nonprofit groups. The Gazebo is also used for weddings, parties, and picnics. 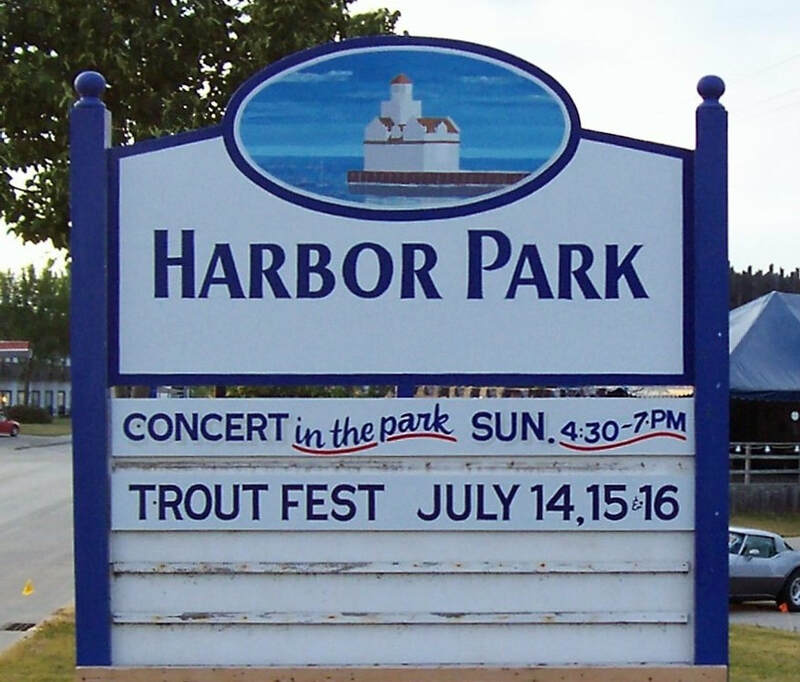 Harbor Park Stage formerly located near the Gazebo, was demolished in 2017.